Ramblecast Ep. 11.6: “I'm With Sam"
Ramblecast Ep. 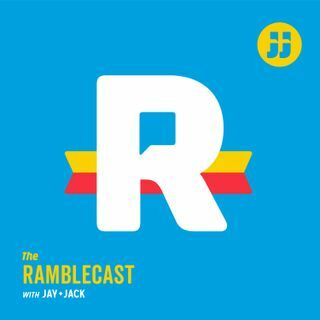 11.5: “Good Morning Miss Bliss, Good Night Career"
Ramblecast Ep. 11.4: “The Devil's Triangle"
Ramblecast Ep. 11.3: “Hot Nuts are Phenomenal!" Ramblecast Ep. 11.2: “It's Nut Juice"
Ramblecast Ep. 11.1: “Taco John’s Dragon Con"
Ramblecast Ep. 10.45: “What Ever Happened to…TUBS?!?" Ramblecast Ep. 10.44: “Utrid Son of Jack Jackson"